When we Trinis talk about drinking a punch, it’s not the alcoholic type punch that is served at weddings and parties (although we drink that type of punch also). 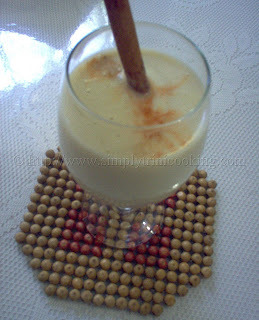 To us Trinis, a punch is a non-alcoholic milk based drink, flavoured with many different ingredients. After a day’s work, especially on Fridays and weekends, most people frequent Punch Stalls to buy their favourite punches. The punch stall owners would be busy behind their blenders whipping up the many different flavours; or sometimes even mixing two different punches together for the more adventurous customers, for example a peanut and soursop punch. It would also be important to note that each punch maker has their own unique way of preparing their punches. 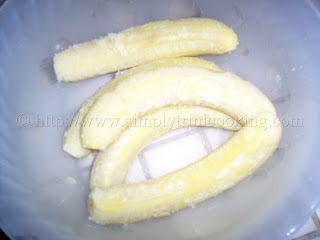 Some famous punches are peanut punch, soursop punch, sea moss and the notorious banana or fig punch. 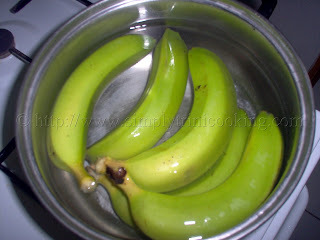 Not to be confused with banana punch, is green fig punch. I must admit that I was naÃ¯ve to the existence of green fig punch after living all this time on the island. When I first heard of green fig punch I thought the speaker was making a mistake, and meant banana punch. But, I was corrected. For some reason, half my life has passed without tasting this delicious treat. 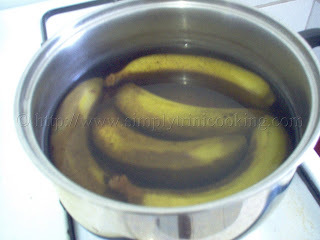 And for those out there, especially those Trinidadians who are like my former self, I tasted it, you must try this recipe. So don’t delay! !You will be delightfully surprised. No really, you will be delightfully surprised. 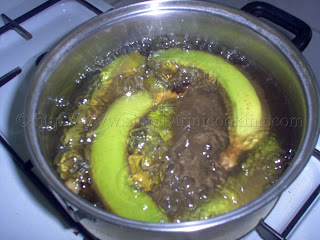 Green fig punch is very simple to make, with only a few ingredients. However, bitters and nutmeg gives it that extra special taste.Also, the most unforgettable thing about this punch is that you don’t even taste the green fig. Enjoy! Place green fig in a deep pot with water. Remove from fire when the fig skin turns brown. Drain and peel. Pour out in a drinking glass with ice cubes. Garnish with bitters and cinnamon stick. 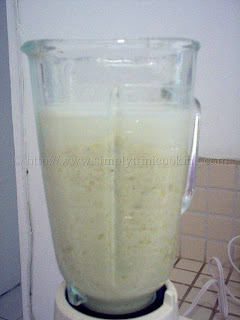 Note: First blend four (4) figs in the mixture. You may add the 5th if you desire a thicker punch. 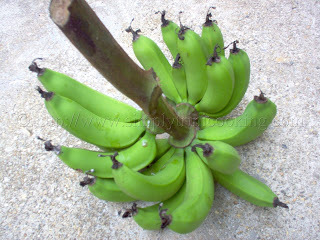 Don’t forget to leave your comments about this green fig or banana punch recipe. Sanchia we are glad you are enjoying our labour of love. I feel blessed when I get comments like yours. Continue visiting; more recipes to come.